Traffic was a nightmare. It took me 2 1/2 hours to get to about 6 miles from texas motor speedway, then another 1 1/2 hours to get to my damn parking lot. *** Boy Gordon broke something, went into the garage, then came aout roughly 100 laps later for points. It was funny, all these homo gordon fans gor all excited when he would pass someone after he came back out. Do they not pay attention to Nascar at all, do they not understand what is going on? Seriously, there were alot of people there I wanted to kick in the face. Martin Truex Jr blew his engine Directly in front of me, it was awesome. I heard a faint pop and his engine wound really high and smoke was everywhere. It was pretty exciting. At start up Juan Pablo Montoya was blowing alot of smoke, he probably had a valve stuck or something, after a few minutes and my section filled with smoke it went away. I had killer seats. I was just before the end of pit row. Right where the engines are all turning 8,000 just before the smash the brakes. Really really loud. Tony waited to long to makes his move up front so he didnt win. Bummer. I hate that he went to Toyota, but I cant abandon my driver, he is the only bad *** veteran driver left. An ******* just Dale Sr. I was happy to see Jr do so crappy. I hate that guy. 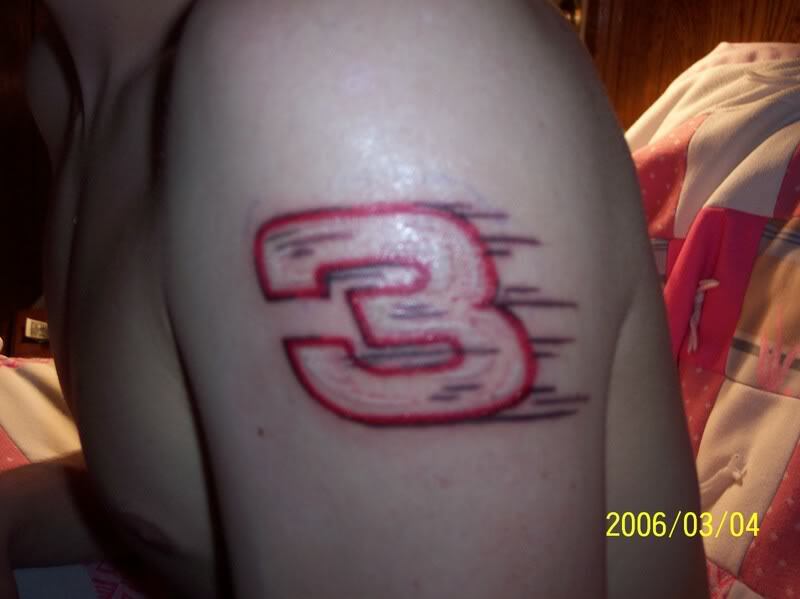 I am die hard Sr, says my tattoo, but Jr is a disgrace to the name. He is a wuss just like gordon and kurt busch, all he does is advertisements for wrangler and now all his new sponsors. He is not that great of a driver. I don't have anything against Carl Edwards, but he did a really lame burnout. The whole speedway booed him. ONE SINGLE SPIN, that was it. He did do his back flip, that was pretty cool to se in person, the wife got it on video, but come on dude, you just won a 500 race, I would have shredded that grass. I will give him credit on holding 1st for so long.Martin Truex Jr led a good fight, he was the reason Tony Stewart couldnt gain any more positions, could not catch Truex, till his engine went bye bye. On the fight to get away from Fort Worth there were 2 babes in a Mustang that kept waving fingers at me and feelin themselves up next to me. It was awesome. A bunch of drunk dudes in a Econoline van in front of me were hanging out the rear doors while we were moving at 35 MPH yellin at these chics. It was priceless. Good times, I love going to the Nascar Races. Never a dull moment. Alot of Idiots that go there just to be there and have no clue about the sport, but once you start talking **** about them and there homo drivers (24, basically) with real nascar fans, then it gets fun. I too was a big SR. fan. I was also a Petty SR fan as well. How come the offspring just can't seem to be as good? SR was as good as his father. Edwards car was just too fast. I don't mean to take anything away from him, but the way he pulled away from the pack with just one lap left you'd think everyone else was in a 3 cylinder. Something seemed strange for sure. thats why jr is 4th in the points, 5 top 10s in 6 starts? didnt he finish 12th today? glad to see stewart do alright. hes #6 in the points..
loved emailing my buddys blackberry about it cause he was out huntin, hope i scared off a turkey. Quick Reply: OT: Race tomorrow.